West Ham United have had a tough couple of years with problems on and off the pitch, but some quality additions to the boardroom and changing room could be about to turn their fortunes in the right direction. West Ham United are well placed to secure a top half finish since finishing 7th in the English Premier League in 2015-16. West Ham United’s move from their traditional home at the Boleyn Ground to the London Stadium in August 2016 hasn’t gone as planned. There have been instances of crowd trouble, fighting inside and outside the stadium, arrests and lifetime bans. 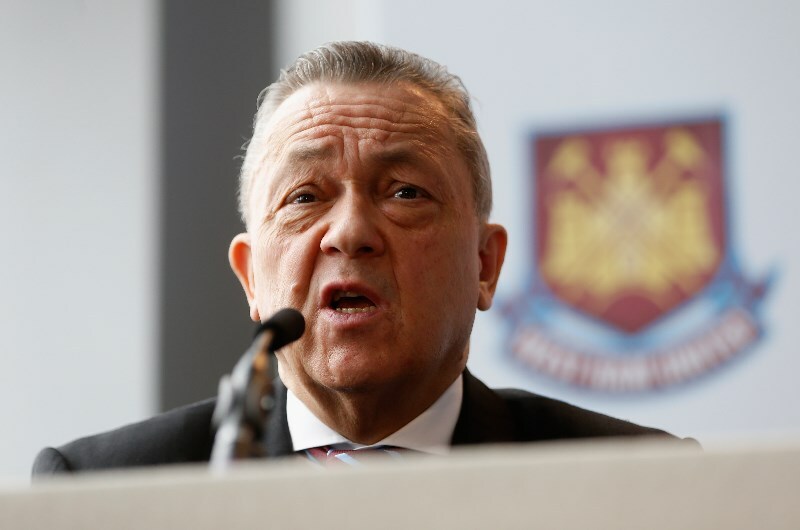 Things came to a head in March 2018 with protests against owner David Sullivan, resulting in four pitch invasions and Sullivan hit on the head by a coin thrown by one of the ‘supporters’. London mayor Sadiq Khan called the scenes a disgrace and few could disagree. The Hammers finished 11th in 2016-17, one point behind eight placed Southampton. Manager Slaven Bilić was sacked in November 2017 following a 4–1 home loss to Liverpool and replaced by David Moyes. Moyes took the team out of the relegation zone and guided them to 13th position, two points behind Newcastle in 10th. He left the club after his six-month deal expired and few would have been sad to see him go. The club wasted no time in announcing former Real Madrid and Manchester City manager Manuel Pellegrini as Moyes’ successor. The experienced 64-year-old Chilean boss takes over with a solid reputation having won the Premier League with the Citizens in 2013-14 before an unproductive spell in China. One of West Ham’s signings that went under the radar was the appointment of Mario Husillos as the Club’s Director of Football. The experienced and respected Argentinian joins the Hammers after a spell as sporting director at Malaga where he worked with Pellegrini in 2012-13. With Pellegrini appointed on May 22 and Husillos joining on June 15, it didn’t take long for them to get to work. Promising 21-year-old French central defender was bought from Toulouse for €25m, Jack Wilshere came on a free transfer from Arsenal with goalkeeper Łukasz Fabiański coming in from Swansea for €7.9m. Right-Back Ryan Fredericks came on a free transfer from Fulham but there was much more in store. In the space of four days the Hammers signed Andriy Yarmolenko from Borussis Dortmund for €20m, centre-back Fabián Balbuena for €4m followed by the clubs record signing, Brazilian attacking midfielder Felipe Anderson from Lazio for a hefty €38m. It’s a clear sign of intent from the Hammers whose spending appears far from finished. They had a £27m bid for Celta Vigo striker Maxi Gomez rejected and failed to reach personal terms with Porto’s Algerian international Yacine Brahimi after an agreement was reached between both clubs. West Ham are still in talks with Porto over the signing of Mali international Moussa Marega and are on the verge of signing powerful France U20 international centre-back Harold Moukoudi from Le Havre for around £11m. 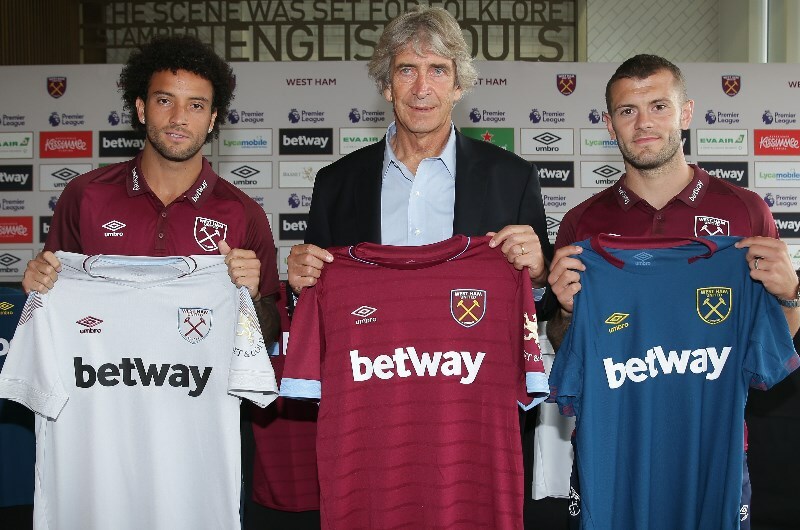 The players above represent a substantial investment and some shrewd business from owner David Sullivan, manager Manuel Pellegrini and director of football Mario Husillos. Felipe Anderson is a tremendous player who can fill the void left by Dimitri Payet while their defence has been significantly strengthened. Jack Wilshere could be one of the signings of the season but it’s no secret why West Ham were pursuing Maxi Gomez. Manuel Lanzini is out until December, Andy Carroll is continually injured, Marko Arnautovic is not a pure striker which leaves Javier ‘Chicharito’ Hernandez and the sparingly used Jordan Hugill as striking options. We tipped West Ham to finish in the top half in the 2018/19 English Premier League when they were paying 2.63, which has now dropped to around 2.25 after their recent signings and signals of intent. Pellegrini’s side face a tough start to the campaign with trips to Liverpool, Arsenal and Everton followed by home matches against Chelsea and Manchester United. It won’t be easy for the Hammers but I am expecting a strong finish to the season, especially once Lanzini returns from injury. The top six in the EPL is virtually guaranteed, but positions 7-10 are wide open and West Ham are well placed to take one of them come next May. Some extremely good business starting with Pellegrini and Husillos is just the beginning for the proud London club.